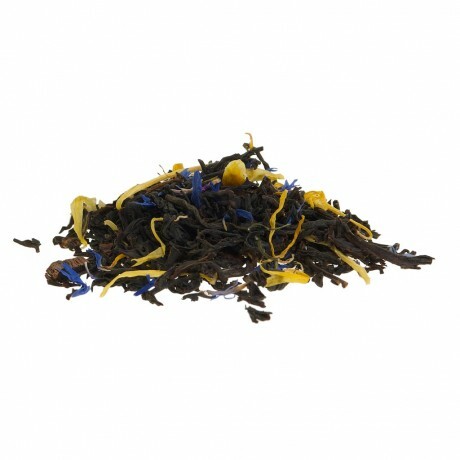 Exclusively blended and packed by us in England, from directly imported teas. 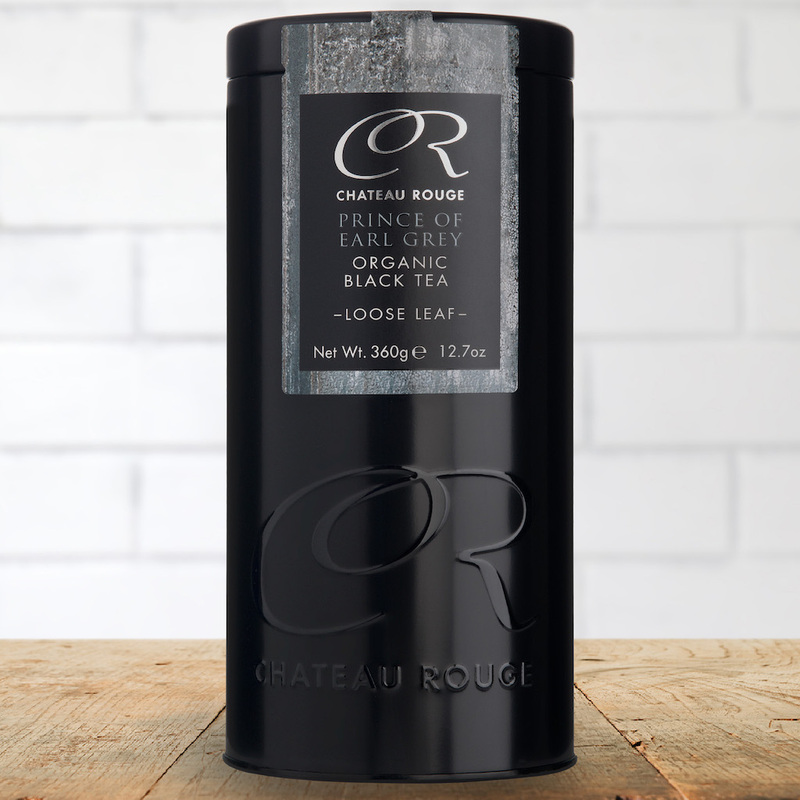 Packaging: Comes packed in our distinctive Chateau Rouge airtight tins. Keep your tea fresh; reseal tin after use and store in a cool, dry place away from strong aromas. All packaging is recyclable and labels printed on FSC approved paper. 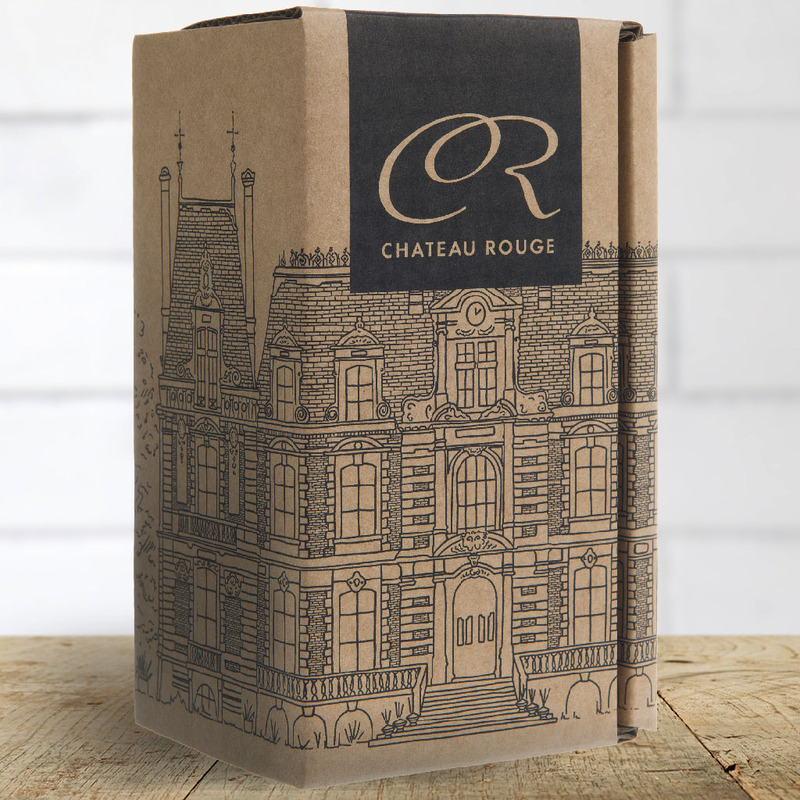 All our tins come packed in a Chateau Rouge gift presentation carton - all you need to do is add a GIFT MESSAGE! Giving back: every product sold helps plant a tree with our supported charities WeForest.org and 1% for the Planet. This directly helps improve the environment, combat climate change and support the local communities in Zambia. I was very excited to try Chateau Rouge's new coffee bend after I tried several of their teas and loved them. I usually take my coffee with milk as I find most coffees too bitter for my taste. This one surprised me though, and I only drink it black, no sugar, to enjoy its sweet taste. I do not have an espresso machine, so I have prepared this using both a French press (Cafetiere) and a normal coffee maker. Watch out though for the kind of grind, with the coffee maker requiring finer grinding than the French press. Both taste good and I alternate between the two (French press easier, but coffee maker a bit better). For coffee lovers looking for something new, try this 100% Arabica beans blend! I usually take my coffee with milk as I find most coffees too bitter for my taste. This one surprised me though, and I only drink it black, no sugar, to enjoy its sweet taste. I do not have an espresso machine, so I have prepared this using both a French press (Cafeteria) and a normal filter coffee maker. Watch out though for the kind of grind, with the coffee maker requiring finer grinding than the French press. Both taste good and I alternate between the two (French press easier, but coffee maker a bit better). 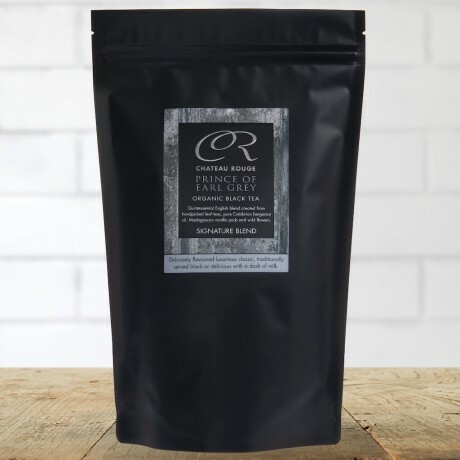 For coffee lovers looking for something new, try this 100% Arabica beans blend! Amazing taste and smell. Generous portions in each tea bag and lovely to see the colours of the wild flowers through the silk tea bag. Great taste and aromatic smell. Great taste and aromatic smell. Love how the tea mixed with the flowers look when you open the tin. The Wiedouw was tasted first and we all agreed it smelled very fresh and appealing. It is single estate, coming only from the Wiedouw farm in South Africa. It brewed to a rich reddish-brown colour and had a bright, almost grassy flavour with a malty undertone and no hint of bitterness. There was no heavy aftertaste, and it tasted very refreshing. In the past, rooibos hasn't hit the right note with me. In the past, rooibos hasn't hit the right note with me. I love the idea of it almost being halfway between proper tea and a herbal infusion, but I find the strange, sweet taste a little too much for my palate. One sip of this luxury version told me instantly that I'd simply been relying on the wrong, mass-marketed brands. 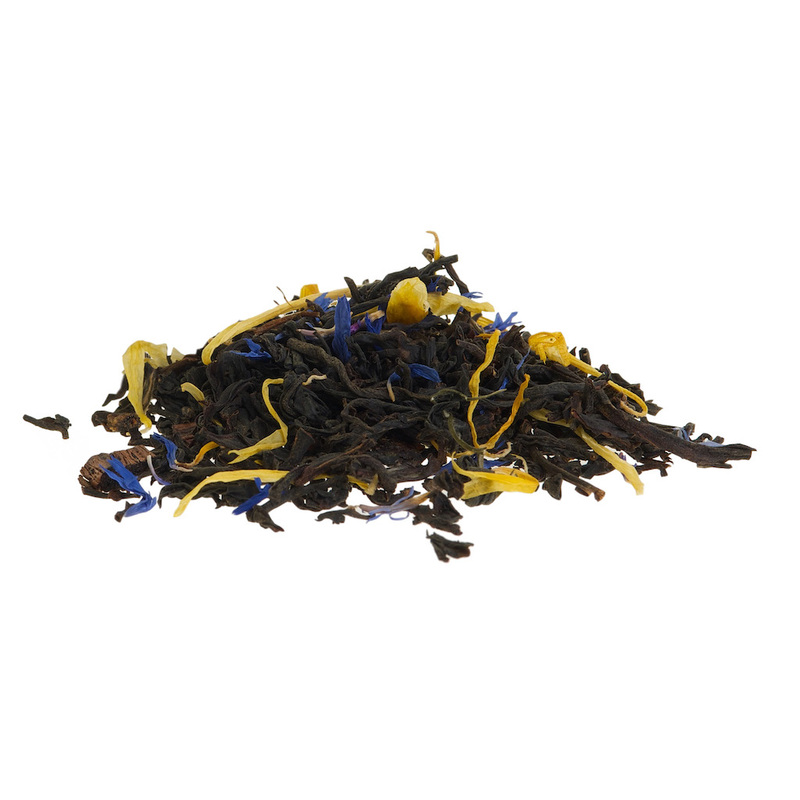 This rooibos has a gorgeous, fresh aroma. I loved its rich, reddish-brown colour and its slightly grassy taste. There was no bitterness, and its sweetness was just the right level for me. I could definitely picture myself drinking this tea all-year round, it was so refreshing. 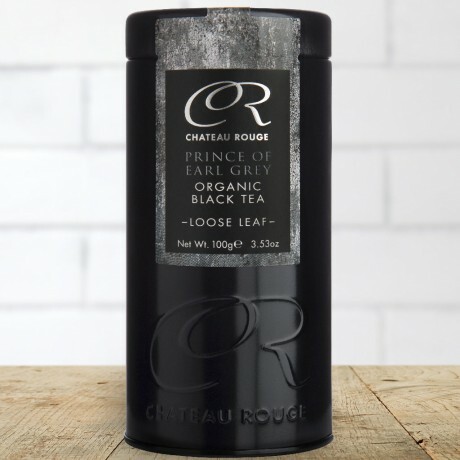 This product is dispatched by Chateau Rouge Fine Foods. This item has a shipping weight of between 200g and 200g depending on the options selected. Minimum quantity for "Prince of Earl Grey - Organic Black Loose Tea" is 1.